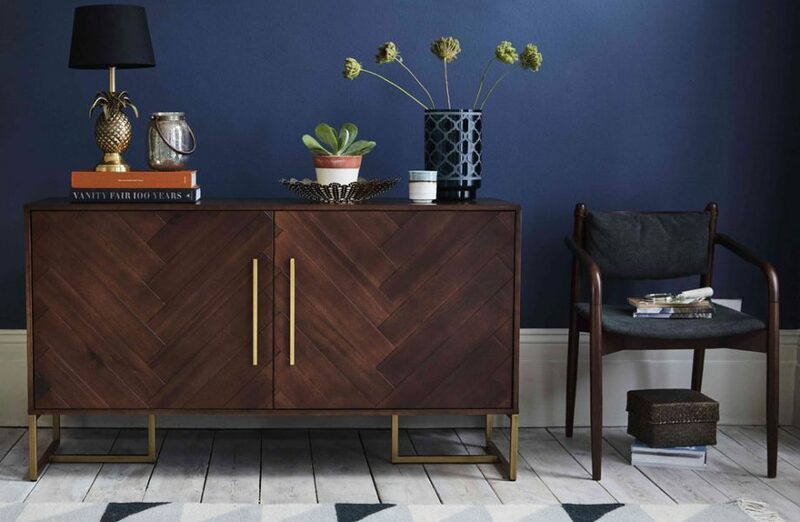 The light fresh colours inspired by Scandinavian furniture is far from over, but darker wood is now getting a well-deserved look in. 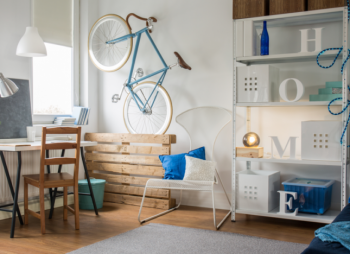 Understandably so as it brings depth and warmth into a room, and with so many ways to add dark wood within your home you can either go all out or just add statement pieces. 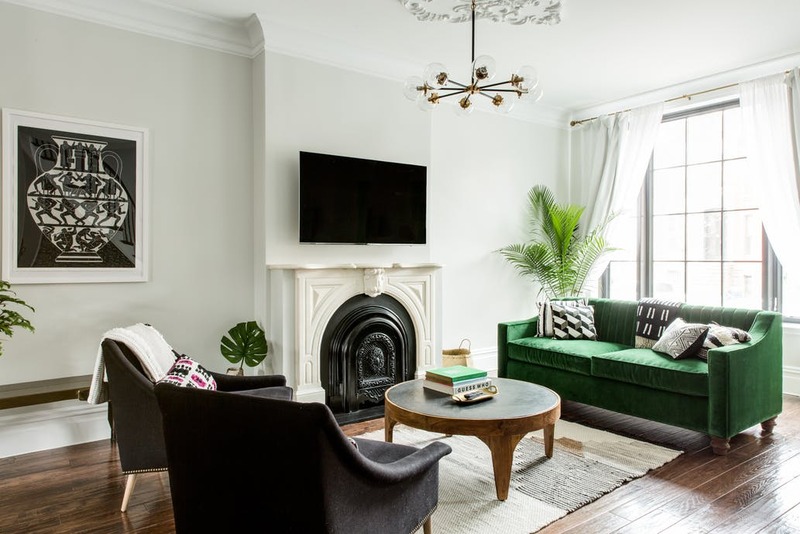 This living room is a great example of what we’ve been seeing in homes and magazines over the past few months. 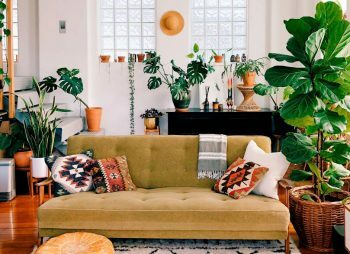 From the continuation to embracing rich velvet fabrics, lush tropical greens (plants and furniture), to the dark wood flooring, and eclectic mix of designs. 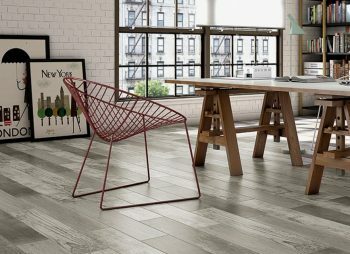 Try to imagine the flooring in a lighter tone, it would create a dramatically different look, one I feel couldn’t quite pull all the pieces together as successfully as the dark wood flooring has. If you’re looking for an alternative to solid wood, have a look at engineered wood flooring as it’s equally as durable and stunning to look at. With many darker colour options to choose from, including walnut to mahogany and dark stained oaks, it’s easy to find a shade to match your interior. 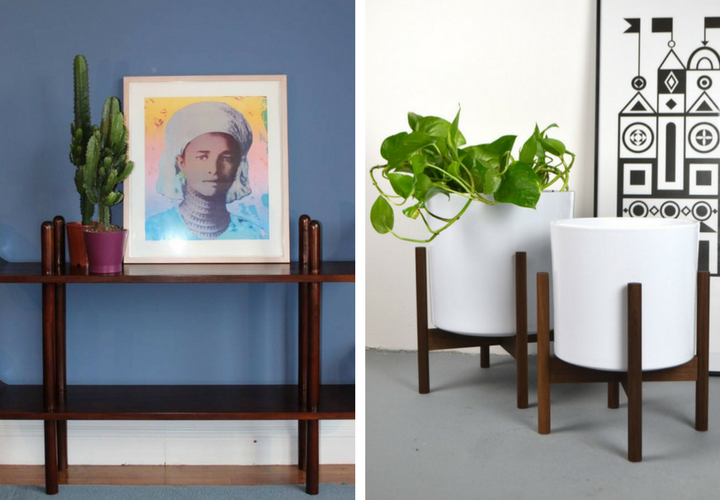 Console tables are a very popular choice for hallways, as they’re designed to add style and colour to an area of the home that can often be quite plain. 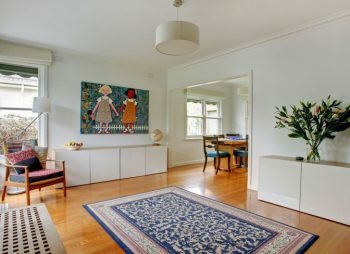 At the same time, they take up a lot less space than for example a sideboard or chest of draws, so a predominantly small area can transform into a useful and stylish entrance to the rest of the home. 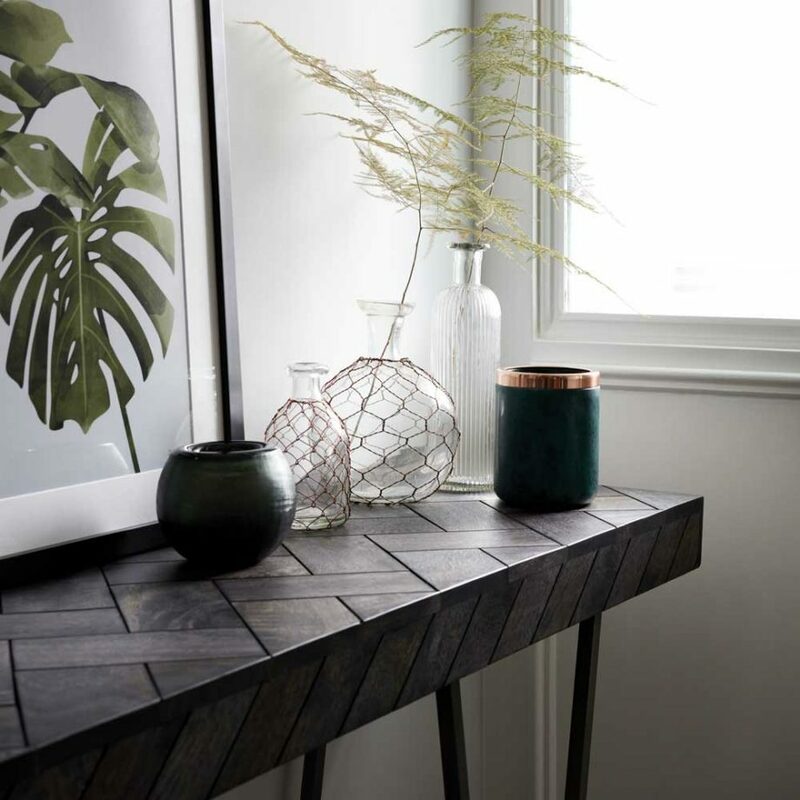 Ideal Homes chose French Connection’s Parquet Console Table (image above), as one of their ‘glam dark woods’ inspirations. With its iron legs, dark stained mango table top and clever use of the popular parquet trend, you can easily see why. 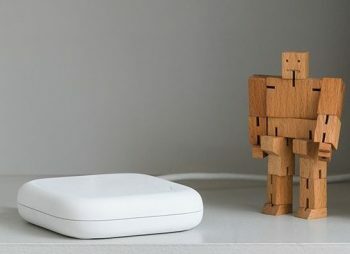 Mango’s also a great wood to choose if you’re looking to purchase a more environmentally friendly piece of furniture, as it grows a lot quicker than other woods, and it’s the by-product of the mango trade. 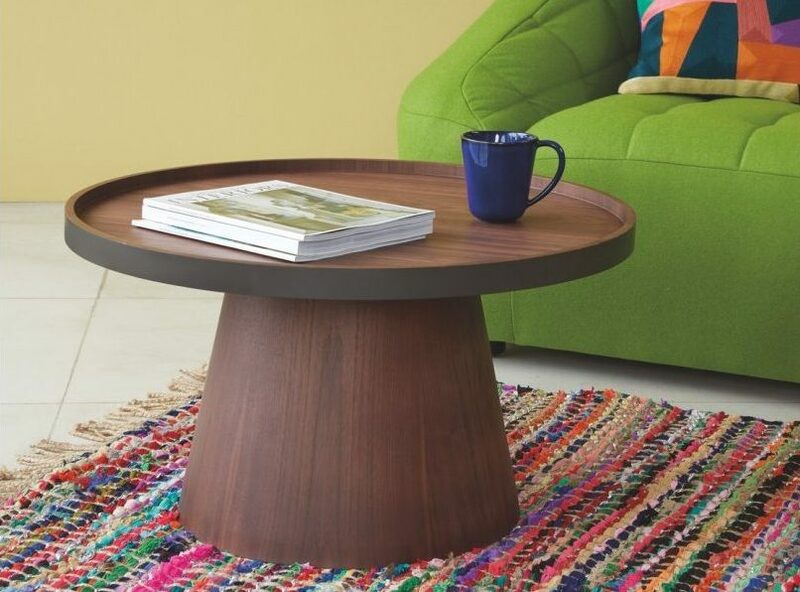 The BRODI walnut coffee table from Habitat with its curved edges and walnut veneer is a great contemporary design. To add to the sheer pleasure of the Brodi coffee table you can also remove the tray top – perfect for carrying drinks through to guests! 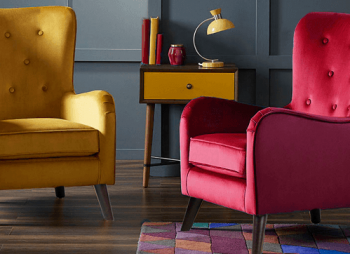 Items of furniture with multiple uses have become more and more popular of late, especially due to the small house craze where every item is meticulously thought out, as space is at a premium. Such a striking table! This could easily become a centre piece within any home! The warmth of the wood comes from not only the colour but the texture of the wood itself. Dutchbone use reclaimed wood which means each mark and indentation has a story and the more the table’s used the more it’s character grows. 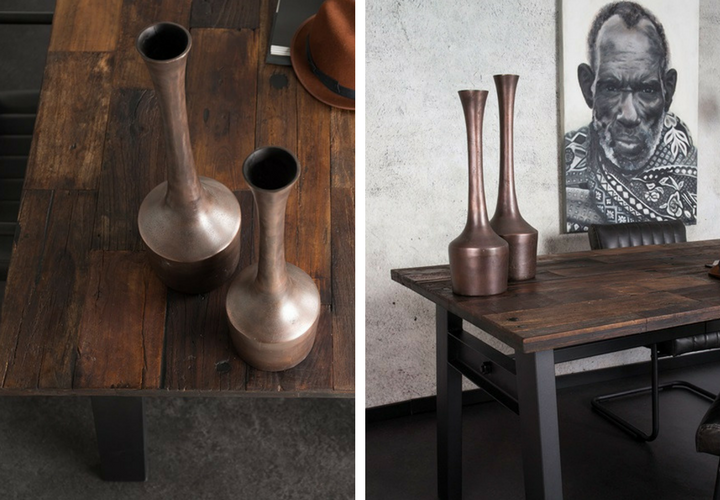 If you’ve spent so long embracing light wood that you’re not quite sure you want to fully incorporate dark wood into your home, then subtly add it amongst other items, such as plants and home accessories. It’s a great way to combine the dark wood trend with the tropical trend. The green breaks down what could be seen as a colour far too dark for some, and in turn the dark wood enables the greenery to pop. If you decide you can only add one item made of dark wood into your home, this has got to be it! 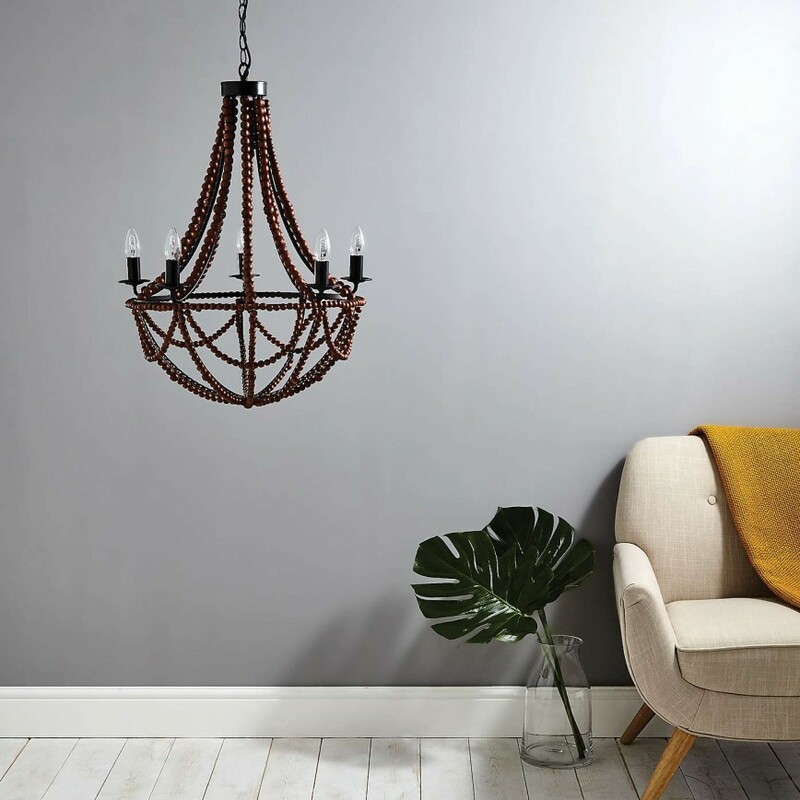 The ‘Bayan’ chandelier ceiling light consists of a vintage metal frame, five lights and a glorious array of dark wooden beads. Chandeliers add a luxurious look to a room, although crystal glass can be a bit too grand for some. 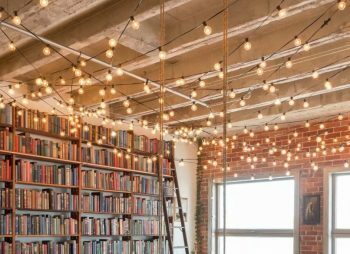 By using wooden beads the chandelier is still a statement piece, however a lot more subtly done. Accessories can come in all shapes and sizes! 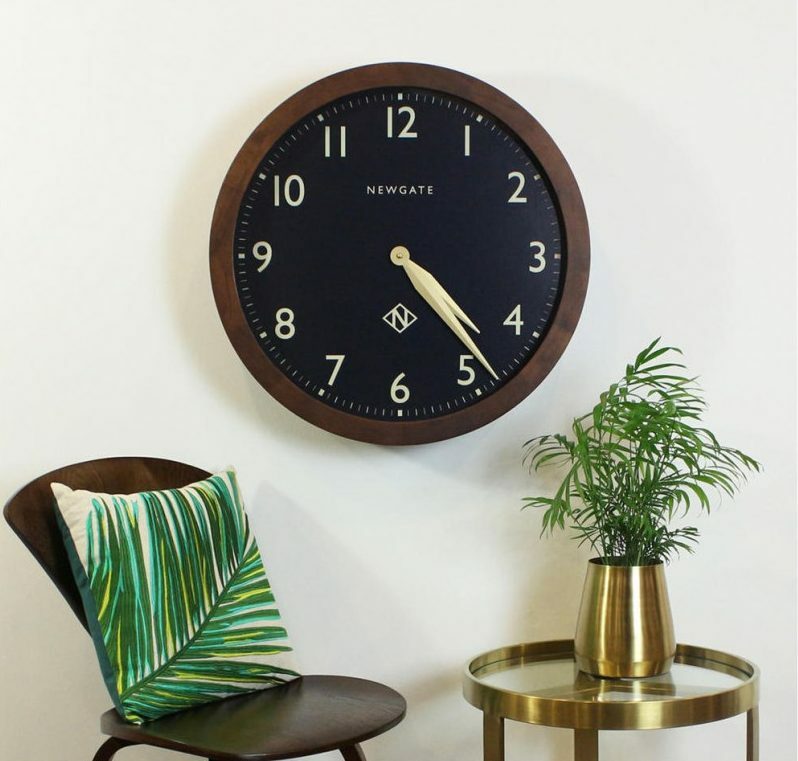 Take the Newgate Billingsgate oversized wood wall clock above, it’s presence is striking, but you can also go the other extreme and have tinny ornaments, such as subtle wooden candle holders. 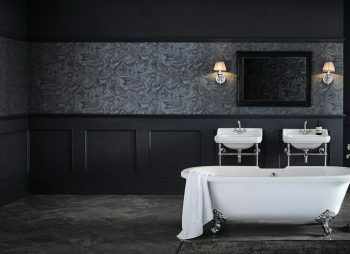 Remember dark wood doesn’t have to be limited to the bedroom and living room, as there’s a wealth of kitchen and bathroom accessories in dark natural wood or veneers too. No one rule fits anymore, as you can see all the dark wood designs would fit perfectly within a Scandinavian mid-century influenced home, to a country cottage, or Victorian terrace. If you’ve fallen in love with dark wood and would like to share any great finds, let me know in the comments below!